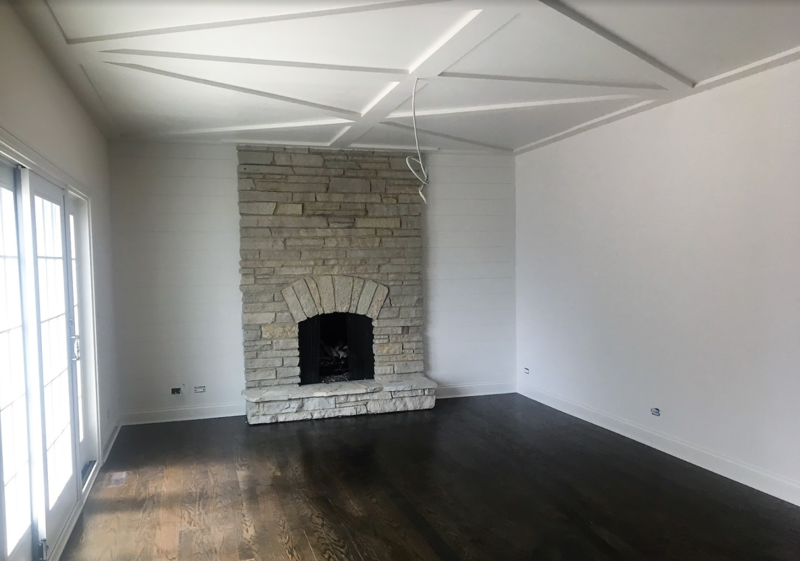 The CHS team has been helping home sellers in the Western Chicago suburbs package their homes for the quickest and more profitable sale since 2005. We have established a track record of success having staged over $850 million in sold Real Estate. 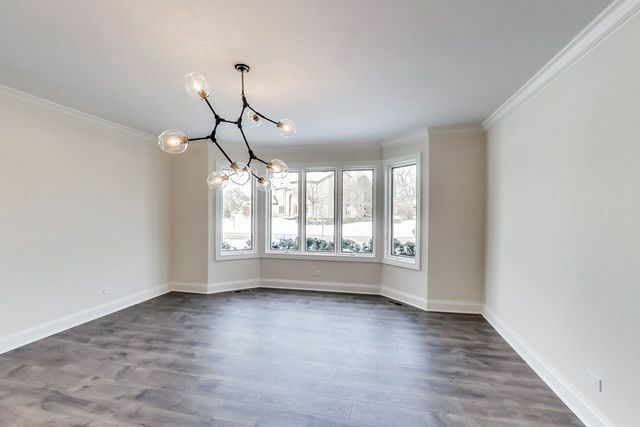 The post [Before + After] Showcasing A Newly Renovated Naperville Home appeared first on CHICAGOLAND Home Staging. We’re quickly approaching the home buying and selling season, so if you’re planning on putting your house on the market this spring, it’s time to prep it for sale! 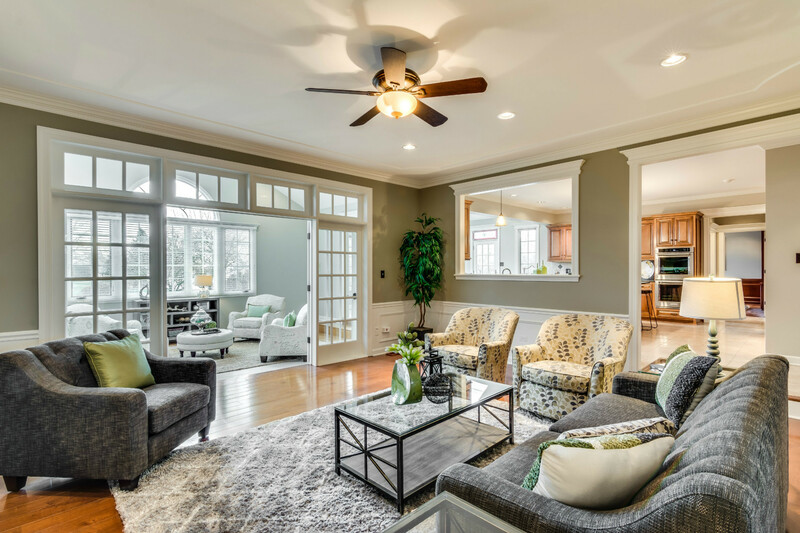 Here are a few ways to start the home staging process to help win over buyers when it comes time to sell. Consider hiring a handyman to repair items that make your property look rundown. Patch and paint holes or dings in the walls, fix leaking faucets, paint rooms a neutral color and replace missing or broken screens just to name a few minor repairs that could make a bigger return on your investment. Now’s the time to get organized. Declutter every room on the property, removing items you no longer want or need while the property is on the market. From the ceiling to the floor and everything inbetween make sure the property is clean. Clear cobwebs, wipe-down surfaces, plus wash fabric, upholstery and rugs. Don’t forget to organize those items behind closet doors or stuck in drawers, buyers will open those up too to see how much storage the property provides. 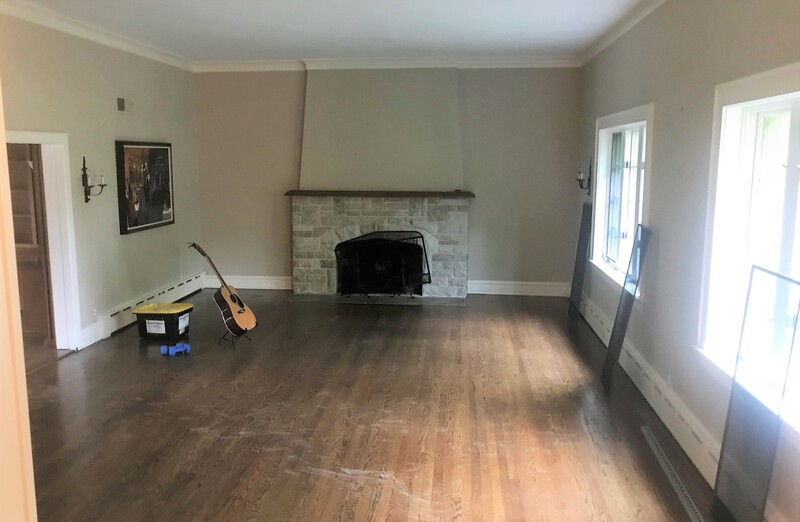 We want the home buyer to visually see themselves living in the property, so the best thing to do to maximize a home’s selling potential is to remove as many personal items from shelves, walls and displays as possible, including family photos that are headshots. Less distractions for the home buyer while touring the property will more likely lead to a quicker sale. 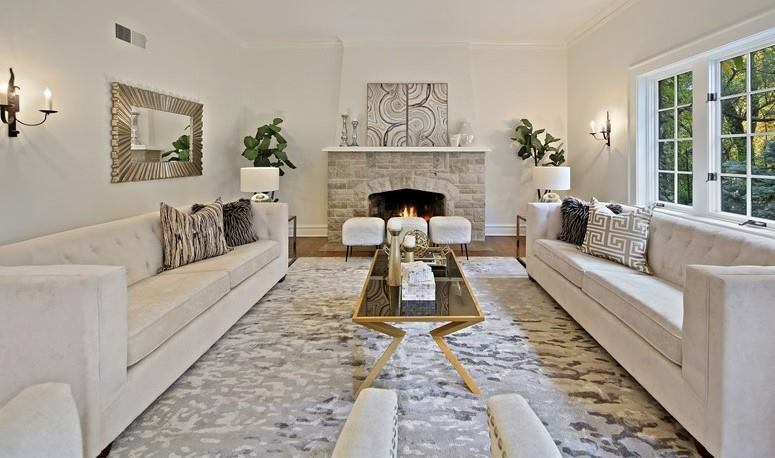 At Chicagoland Home Staging our priority is to pay attention to a property’s first impressions both inside and out. It’s important that your exterior looks manicured and clean to lure home buyers to the front door as they drive by. While inside we want to have light, bright, spacious rooms that are multi-functional and showcase the a potential buyer’s lifestyle. 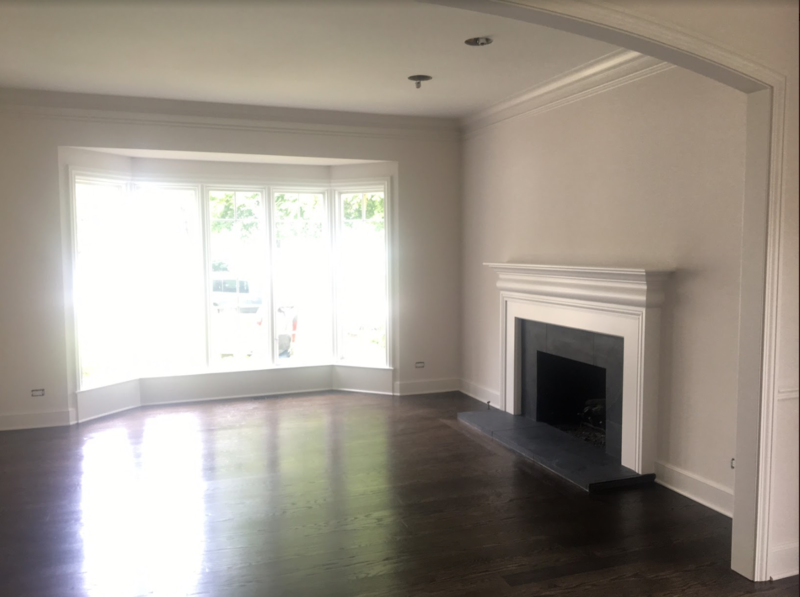 Before listing the property, hire Chicagoland Home Staging to help tailor a plan that works with your property to maximize home buyer appeal. We’ll provide ideas on what needs to be improved, supply home furnishings and create the ultimate furniture arrangement to get your home sold in days — so you’ll reduce carrying costs and get your property off the market quickly for the most amount of money. Want more information about our home staging services? Contact us today to see how we can help you sell your property in this highly competitive spring season. The post Is Your Hinsdale Home Ready for the Spring Real Estate Market? 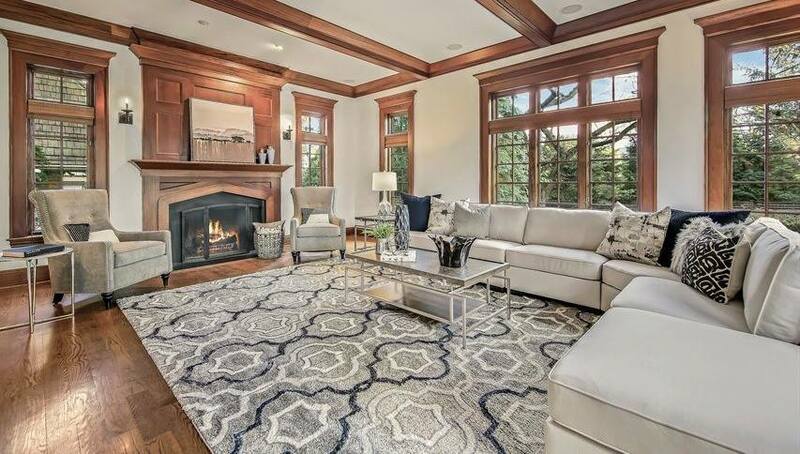 appeared first on CHICAGOLAND Home Staging. When staging a bathroom Chicagoland Home Staging wants the space to be light, bright, spacious and clutter-free. We often suggest mimicking your favorite luxury hotel or spa to make this room the most attractive to potential home buyers, especially when it comes to the bathroom in the master suite. Start by removing all your personal items on countertop surfaces, in your shower and toilet. Keep toiletries, hair products, magazines, scales, plungers, and toilet brushes out of sight. If buyers see these belongings they’ll naturally be distracted and potentially feel like they’re intruding on your personal space. Buyers will pay a premium for new clean spaces, so take the time to clean your bathroom to make it feel like new. If your bathrooms are immaculate, it gives buyers the impression that your home has been well maintained and cared for. Once you’ve decluttered and cleaned the bathroom, you’ll be able to notice if minor repairs are needed. If so, consider making cost-effective changes like replacing shower glass door, leaking faucet or showerhead. Update towel bars, broken tiles and replace rusty mirrors. You can also frame old, worn-out mirrors. Have you ever noticed spas have the perfect ambient light? This helps set the tone for a relaxing atmosphere. A home buyer would want the option to relax in this space, but also have bright lighting to get ready. That’s why you should install light dimmers in this room and highlight this during showings. To replicate a spa paint the bathroom calming colors including neutral hues, soft blues, and greens to achieve a serene space. Green symbolizes the meaning of peace, calmness, and relaxation while blue can slow the heart rate, encourage concentration, and reflection. Use these colors on the wall, in artworks or linens. A spa will enhance the five senses of sight, taste, touch, hearing, and smell. Consider using essential oils like like lavender and eucalyptus to relieve stress, relax the body, and promote better sleep. Or try playing slow tempo music during the open house to release stress. Consider using organic materials in your bathroom. Wood tones can create warmth in this space that is usually portrayed as cold because of the tile work. Plants like orchids, aloe vera, lavender, and succulents can also make a manmade room feel more natural. Air plants can be a great choice for the bathroom because they’re low maintenance and don’t require soil or pots. Don’t skimp on the luxury bath accessories that can remind home buyers of a retreat. Use apothecary jars to store organic sea sponges, bath salts and soaps. Display an exfoliating brush and don’t forget to splurge on soft luxury linens that include: towels, a bath mat, and cozy robe. Contact us today, so we can help you turn your bathroom into a dreamy retreat. 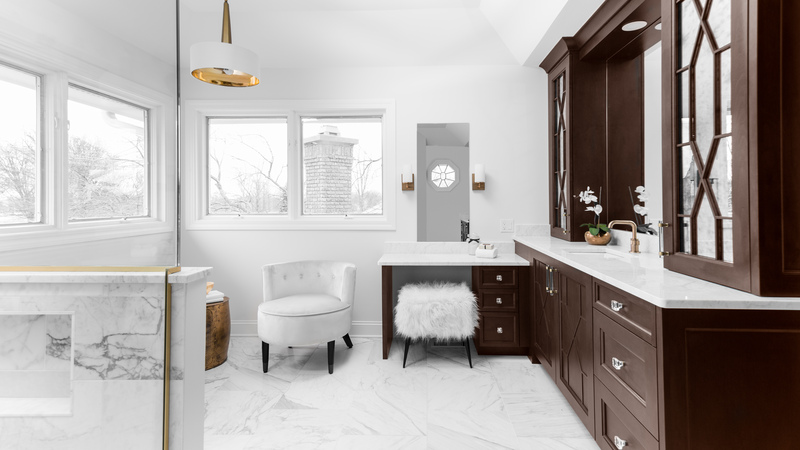 The post Staging a Bathroom That’s Spa Worthy appeared first on CHICAGOLAND Home Staging. 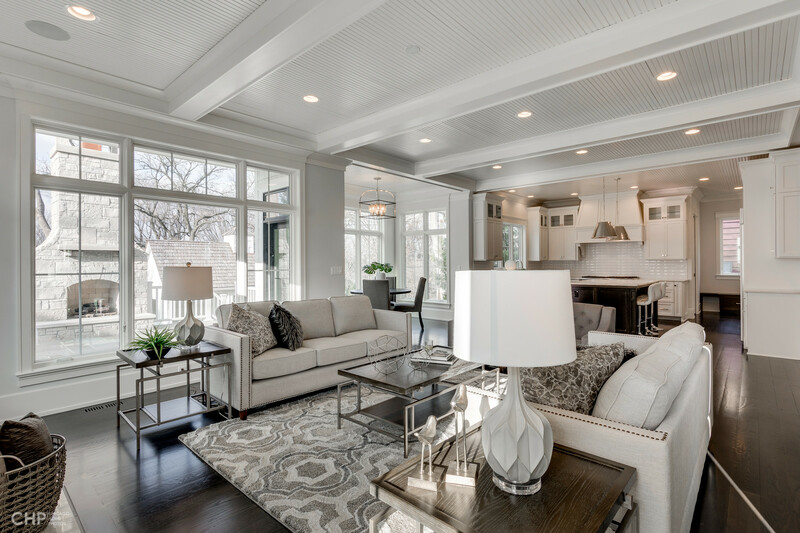 The post The Art and Science Behind Home Staging a Naperville Property appeared first on CHICAGOLAND Home Staging. 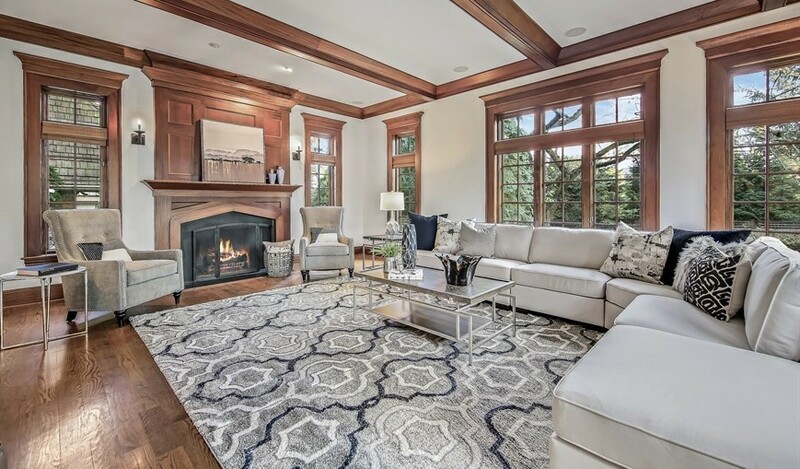 The post Home Staging Works: 2 Million Dollar Home Sold in 10 Days appeared first on CHICAGOLAND Home Staging. Have you ever felt disorganized, unaccomplished or even stressed about life and not sure why you feel this way? It could be the clutter building up around you at home. Take a look around you, are you feeling cramped at home? We collect things for a number of reasons–maybe you think you’ll need to use it later, it has sentimental value, or you have to keep the item because it’s expensive. We all know we have to declutter, but we’re allowing ourselves for items to build-up, take up space and cause anxiety. If you feel anxious coming home every day chances are, the clutter you consciously continue to ignore at home is subconscious messing with your head — making your mind feel cluttered too! By handling this problem at home you will ultimately feel more relaxed in other areas of your life as well. Not to mention relief the stress buyers may feel as they enter your home. Maybe you’re a closet clutterer? This is where you have an overflow of items behind closed doors, cabinets, and drawers. Out of sight out of mind, right? Wrong. If the doors holding storage space in your home are not closing properly then it may be time to declutter. Even in these spaces, you should have an organizing process to keep items stored neatly, while also having enough room to get to the item without a struggle. You should go through these areas of your home at least twice a year and ask yourself if you’ve used the item in the past six months, if not then it’s time to part ways. What if your clutter was right in front of you, would you notice it? As home stagers, we do this exercise often with home sellers, where we ask them to go through their home as a home buyer would critiquing everything in plain sight. Often times, home sellers have gotten so used to their surroundings that they essentially have blinders on — not being able to see anything negative in the home anymore, including clutter. If this sounds like you, ask a home stager, real estate agent or judgmental friend for some honest feedback. Are you constantly misplacing items in your home, spending more time than you have hunting for the item you may need? This is a definite sign it’s time to declutter! Rather than rummage through drawers, closets and countertop surfaces daily start finding permanent homes for the items you have. Start by taking one area of the property and rummage through what you have following the rules below. Organizing your home is an evolving process that changes with the homeowner’s needs. If you’re feeling overwhelmed then you want to start small. Choose one room, one closet or one corner. The important thing is to start somewhere, but make it count, tackle the first cluttered area a home buyer would see as they walk into the home. Are you a homeowner who has been using time constraints as an excuse to not declutter? If so, schedule blocks of time (2-4 hours) or even just 15 minutes a day depending on what needs to be organized to make your goal (of getting your home organized) a reality. Create a place for each item in your home is a crucial part of the home organizing process. Here you want to group like items together and store items that correlate with one another together. For example, store coats in the front closet next to the door or place dinnerware near the sink or dishware for easy convenience. Of course, keeping the space in order only happens when you return an item back to it’s home after use. By always returning an item home, you’re building in a maintenance system in your organizing process. Another good habit to adopt is to take 5-10 minutes every night and put items away. This way when you wake up in the morning, the house is ready to show off. The post 5 Signs It’s Time to Declutter [Plus, How to Stop It From Happening Again!] 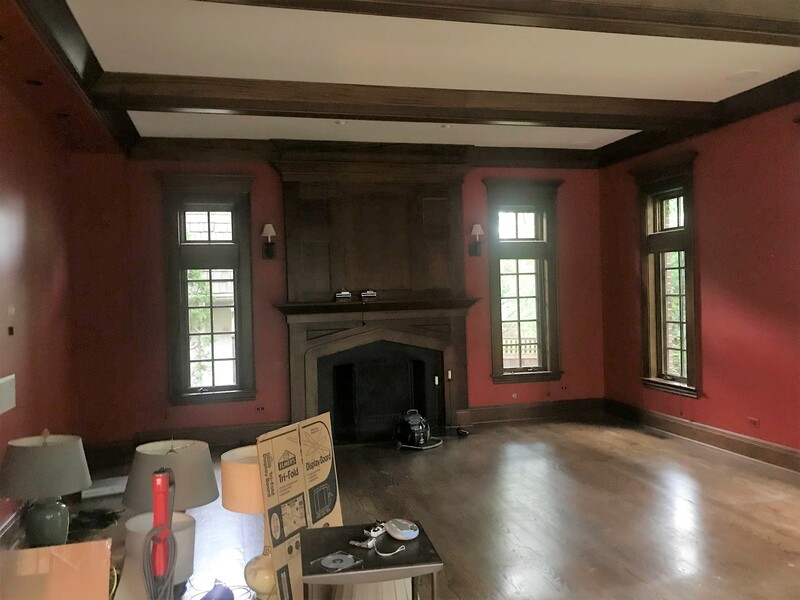 appeared first on CHICAGOLAND Home Staging. With all the snow build up throughout the season, it’s important to stay on top of any snow forecasts. It’s important to make sure all driveways and walkways on the property are shoveled and de-iced so it’s easy for buyers to access the front door. Of course to create a welcoming entrance use a few potted plants with a variety of evergreens, spruces or winterberries to bring life to the property. Another way to highlight an entrance is to use a cheerful paint color on the door and a decorative winter wreath. To refrain from having the outside elements dragged through the property, think about what the home buyer should do with their coats and shoes during showings. Have a few hooks or extra space in the front closet for those who want to take off their jackets while touring the property. Also, create a designated place for people to sit and remove their shoes in the entryway. A simple way to do this is to use a long bench with boot trays underneath or have them wear shoe cover booties while walking through the home. No one likes hanging out in a cold house, so make sure you raise the temperature to 70 degrees or higher in the property to allow buyers to forget about the cold and focus on the home’s amazing features. The warmer temperatures could also keep buyers lingering in the home longer providing enough time for them to fall in love with the space. Since winter days are shorter you’ll need to increase the light sources available on the property. Keep windows clean, drapes and shades open. Use light colored, but textured curtains, like off-white velvet. Also, make sure all the lights are turned on regardless of day or night so each room feels light, bright and airy. Thinking about selling a home this winter? Contact us today to learn what services our award-winning home staging team can provide. 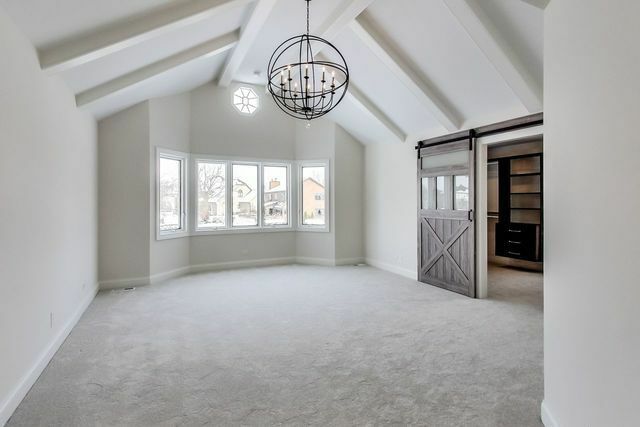 The post How to Stage a Property During the Winter Market appeared first on CHICAGOLAND Home Staging. 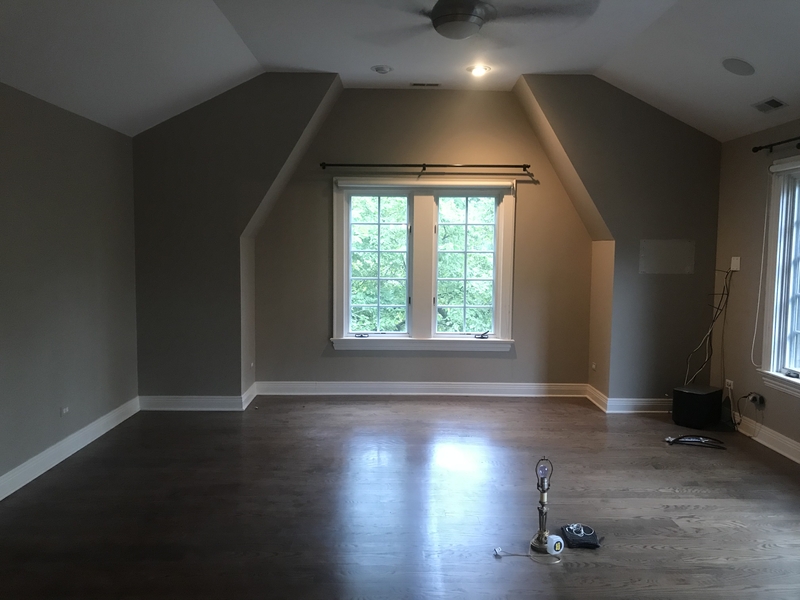 The post [Before + After] Staging a Hinsdale Property Comeback appeared first on CHICAGOLAND Home Staging. Often times preparing a home for sale takes a back seat to the holiday season. It’s already a stressful time with all the holiday decorating, gift-giving and entertaining. Why have the added stress of selling a home during the jolliest of seasons, when it’s a slow-time for the real estate market to begin with. Yes, there are fewer real estate transactions this time of year, but there are more motivated participants, both buyers and sellers, looking for the perfect offer. Selling a home during the holidays shouldn’t feel like a frantic black Friday sale, rather look at is an opportunity to start the new year right. 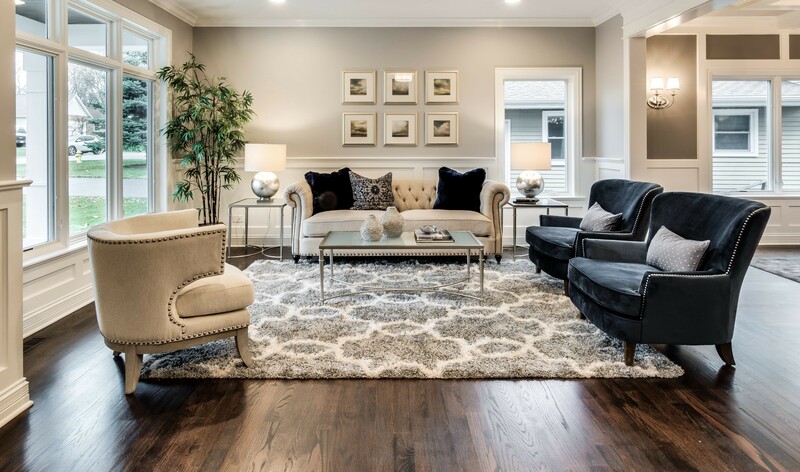 Here are a few important reasons to consider hiring Chicagoland Home Staging to get your property prepared for sale. People looking for homes during the holiday season are serious buyers who are willing to alter their holiday plans and bad weather to find their next home. While this type of buyer often overlooks the small details and minor repairs, a savvy seller knows staging a property will “wow” a buyer to make an offer. In most cases, a motivated buyer is on a tight deadline to move, so they’re willing to spend more money to not be inconvenienced. 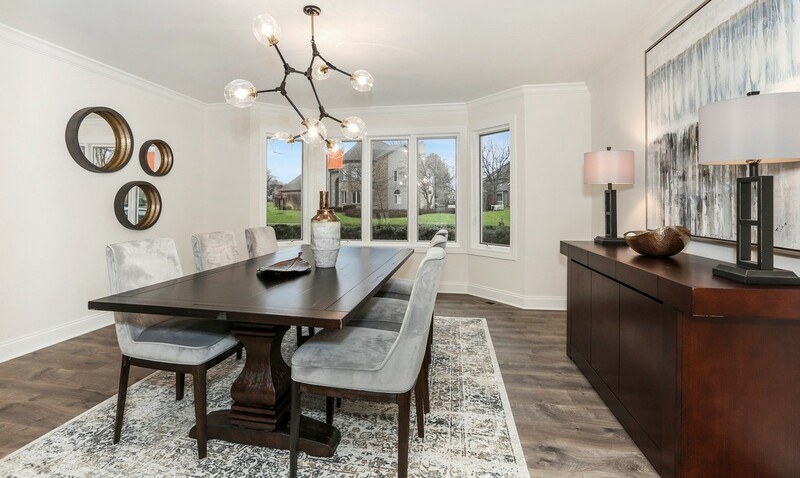 In order to create that “wow factor” Chicagoland Home Staging strategically places furniture and accessories throughout the property to emotionally connect with the home buyer. Usually, a buyer is more emotional during the holidays, so they’re more likely to pay a higher price. Our team decorates using tasteful decor to spruce up the house and add some holiday spirit without overkill. Here are few tips on how to decorate for the holidays. Since the real estate market slows down this time of year, there will be less competition on the market for home buyers to choose from. A home seller with very few comparable properties can often stick strongly to the price they’re looking for, leaving the seller in a unique position of power because of the scarcity of homes available. In a slower real estate market, a seller has the power to set the ground rules and boundaries that can benefit them. Set specific times for showings, create black out dates and give yourself enough time to properly prepare the home for sale — this way you can still enjoy the holidays with family and friends. Thinking about selling a home this holiday season? Contact us today to learn what services our award-winning home staging team can provide. Happy Holidays! The post Should I Sell My Home During the Holidays appeared first on CHICAGOLAND Home Staging. When it comes time to sell a property, it’s important to plan ahead and take the time you need to make smart decisions that will leave you feeling less stressed on the market. 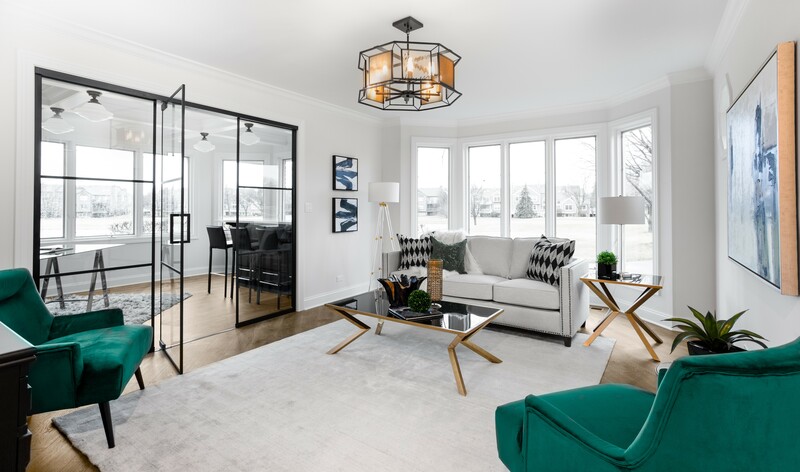 A major part of that decision making is “what items will stay and what items will go in the home” to create a streamlined look throughout the property. 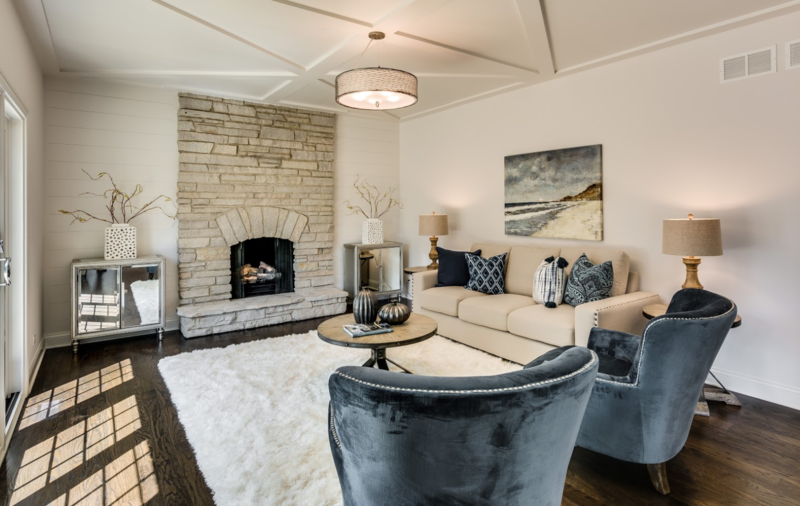 Here at Chicagoland Home Staging, our home stagers are trained to highlight the positive features of a space and pay close attention to details to help connect homebuyer’s emotionally in order to make a sale. In order to create a look homebuyers fall in love with, our team selects furniture and accessories that feature a design style that will maximize square footage. We opt for effective pieces that are efficient for the targeted lifestyle — highlighting smooth transitions and clean lines. Here are a few tips to consider when streamlining your property for sale. Homebuyers are hesitant about the cleanliness of a property when surfaces are littered with various items. 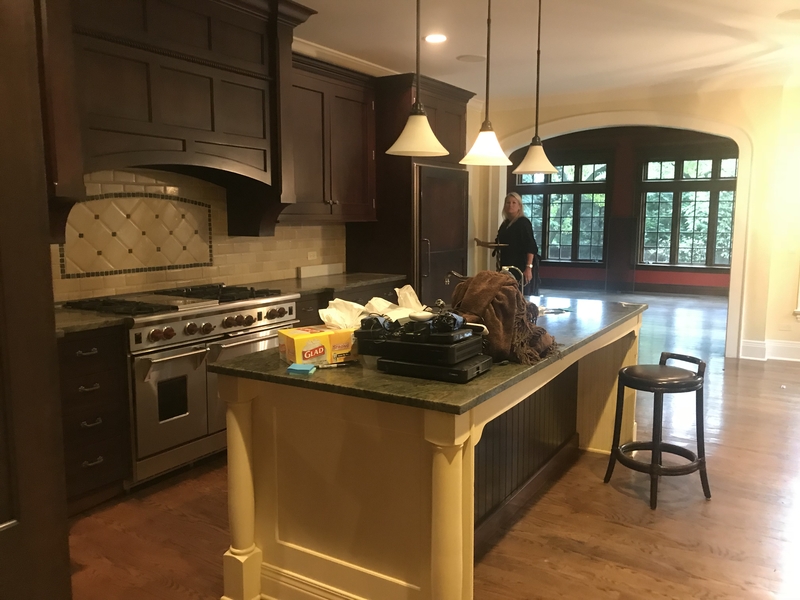 So, it’s important before a showing to clear countertops and table surfaces by finding a permanent home for the items to be stored while on the market. 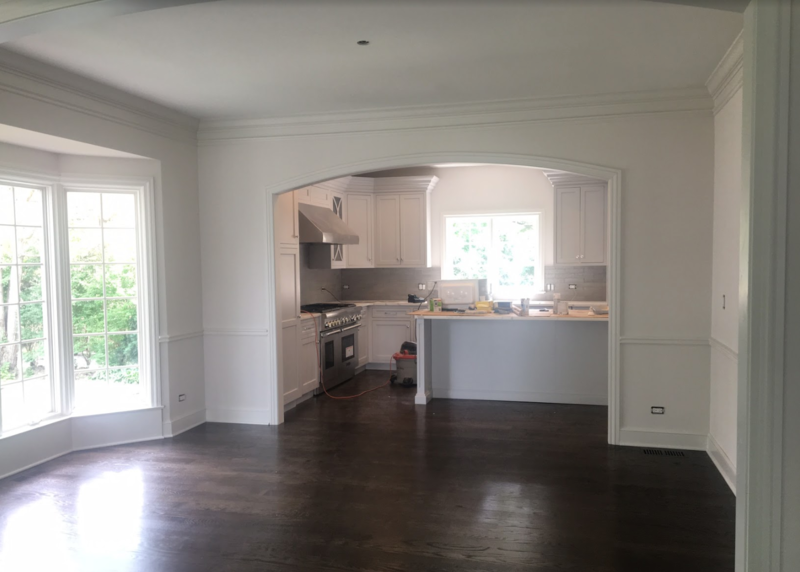 Take a look at this Hinsdale kitchen we staged above, the surfaces are cleared, except for a few strategically placed accessories to soften the building materials used in the room. The living or family room is the place where most people congregate inside a property – which means clutter can accumulate easily. An easy way to keep toys, electronics, and magazines out of sight for showings is to have multi-functional furniture, like sofas and ottomans that have compartments or hidden storage to remove the items quickly. Another trick is to use shelving and accent tables that have storage with doors you can shut the clutter on. One way to subliminally streamline a property is to work with different shaped objects and textures. Take a look at the image above. There’s a mixture of circles, squares, and rectangles playing off one another. The circle art is balanced with the circle table lamp, while the circle bar cart sits on the adjacent side. This helps the eye look at the entire space verse focus on just one area. Focus on a few accent colors to play up throughout the property. Whether a neutral or bold hue, you want to sprinkle the color throughout the room using the 60-30-10 rule. This means 60% should be your main color, preferably neutral. 30% is a secondary color that can be lighter or darker. 10% is the accent color that should play on an emotion. There are times when one accent color is not enough, so go ahead and choose two. 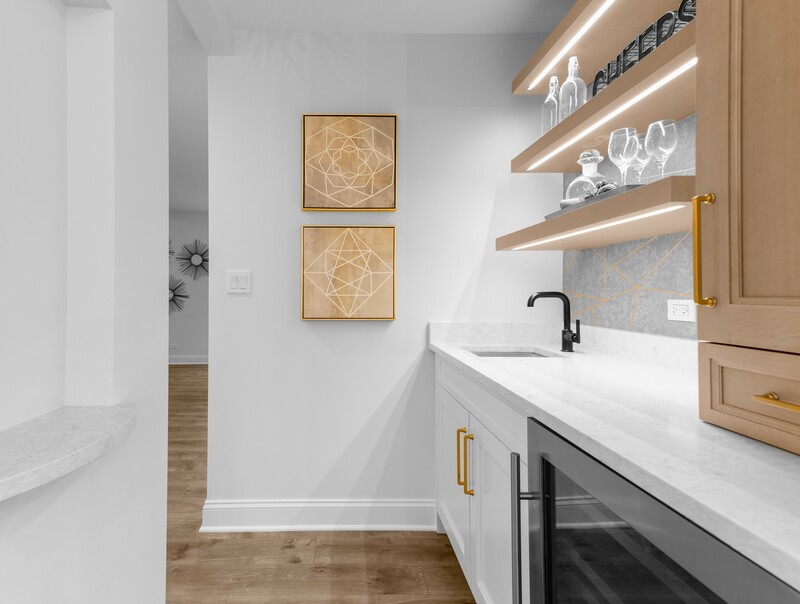 In many cases, our team will use symmetry to create a streamlined look in a space. In this image above, pretend there is a vertical line straight down the middle. Do you notice how everything is balanced out on either side, mostly with identical pieces. For example, two pieces of art, two trees, two tables, two table lamps, two couches, etc. all match one another. Where the items are not identical they still look similar because of the color or height of the object. One of the most important tips to remember when streamlining a house is to provide a place in each room for the eye to rest. You can achieve this by purposefully leaving something empty. You can use the empty space around an object to draw attention to certain features. Whitespace makes information easier for the eye to digest, and it lets the eye zero-in on important pieces of information. If you need help to streamline a property for sale feel free to contact us today for a quote and to learn more about our services. 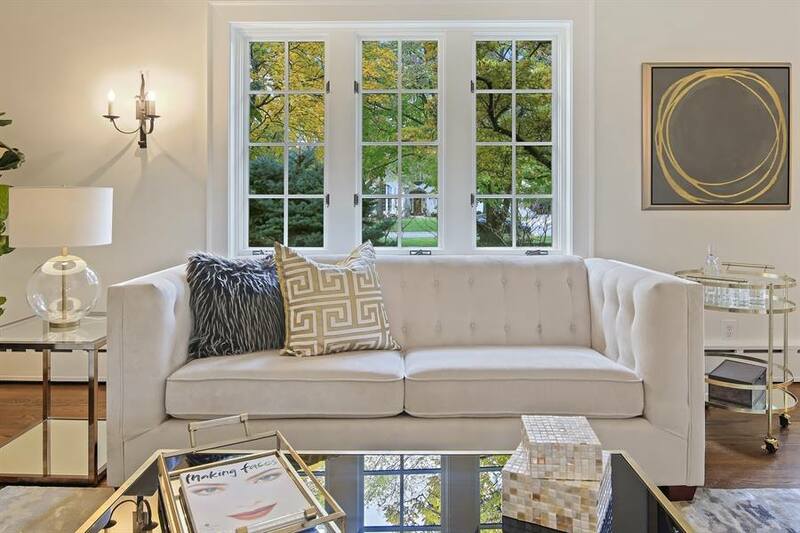 The post How to Streamline a Property When Selling appeared first on CHICAGOLAND Home Staging.